Lens Explorer should help you venture beyond the stock effects. Snapchat has let virtually anyone create Lenses for months. There's been one main problem, though: you couldn't just browse the user-made augmented reality effects, so finding one frequently involved a bit of luck. As of today, it's much easier. 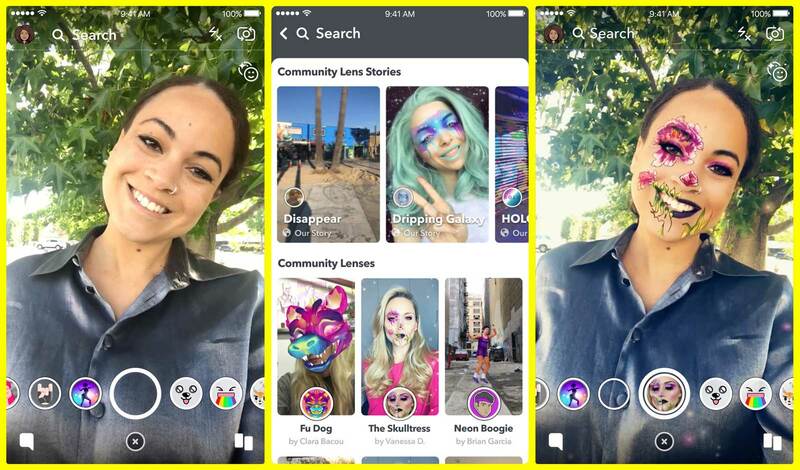 Snap is introducing a Lens Explorer that helps you discover community Lenses alongside the official examples. Tap a smiley face in the Lens Carousel and you can unlock user Lenses without having to find a Story that unlocks it. And if you're looking for a specific filter, you just have to search for it. The Explorer is trotting out "slowly" for iOS users only at launch. You'll have to be patient if you're using Android, unfortunately. The Explorer was arguably overdue. There are over 100,000 custom Lenses, according to Snap, but it's unclear how many of those see widespread use. What good is a Lens if only a handful of friends can find it? This could encourage more people to create their own Lenses knowing that they'll see more adoption. It's also an incentive to stick to Snapchat rather than switch to Instagram. If you can create and browse a giant library of AR offerings, you may not feel as much of an urge to head elsewhere.